Haringey Council in north London have been slammed for providing a “poor service” after missing the word road from a road sign. Liberal Democrat councillors noticed the sign on Fortis Green Road, in Muswell Hill, does not include the word “Road” at the end. They say it is not the first time a sign has been wrong. They said it is also “confusing” as it will not be clear for many people whether the sign is referring to one specific street or the whole of the Fortis Green ward. 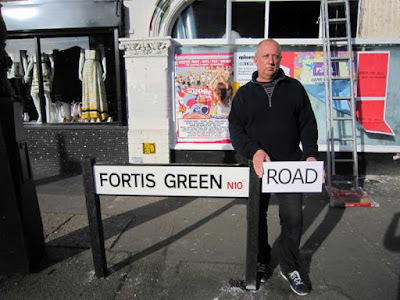 Martin Newton, a Lib Dem councillor for Fortis Green, said: "It may seem like a small thing but getting this road sign wrong is a reflection of the poor service local residents currently have from Labour-run Haringey Council. Finances are tight and Labour should be ensuring mistakes are kept to a minimum so taxpayers’ money is not wasted fixing problems that could have been avoided in the first place." Oh bring politics into it, you're all as stupid as each other.